In blood red font on the photo was scribbled his new allegiance: the Hizbul Mujahideen, or 'The Party of Warriors', the largest of the militant groups fighting to free the mostly-Muslim Kashmir from Indian rule. "He was a responsible kid who cared about his studies,” said Yusuf, 49, staring down at the carpeted floor of his brick home where he sat on a recent winter morning, clasping his folded hands inside his traditional pheran cloak. 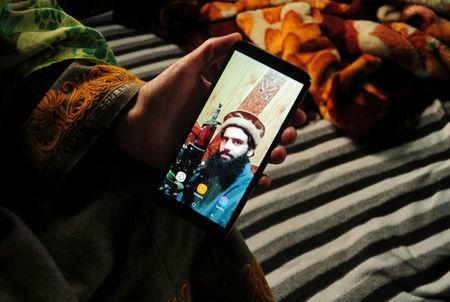 Owais is one of a rising number of local militants fighting for independence of Kashmir - an insurgency being spread on social media amid India's sustained, iron-fisted rule of the region. Hundreds of thousands of Indian troops and armed police are stationed in this lush region at the foot of the Himalayas. India and rival Pakistan have always disputed the area and in the past three decades, an uprising against New Delhi's rule has killed nearly 50,000 civilians, militants and soldiers, by official count. After Dar's attack, Indian security forces launched a major crackdown, searching Kashmiri homes and detaining hundreds of supporters, sympathizers and family members of those in armed groups. At least half a dozen gunbattles broke out between Indian police and militants. Outside the narrow lane that leads to the Malik family home in Kulgam in southern Kashmir, children walk to school past shuttered shopfronts and walls spray-painted with the word "azadi", the local word for "freedom". The graveyard at the end of the lane has an area for militants, who are remembered as "martyrs". Dar's family claims he'd been radicalized in 2016 after being beaten up by Indian troops on his way back from school for pelting stones at them. "Since then, he wanted to join the militants," said his father Ghulam Hassan Dar, a farmer. India's home and foreign ministries did not respond to requests for comment on this story. In news conferences since the suicide bombing, Lt. Gen. K.J.S. Dhillon, India's top military commander in Kashmir, has dismissed allegations of harassment and rights abuses by Indian troops as "propaganda". He said the recent crackdown by security forces has resulted in the killing of the masterminds of the attack, and militant recruitment has dipped in recent months. "Those who were born in the late 1980s and early 1990s, when the conflict started, have now come of age," he said. "This is a generation that has only seen the jackboot. The alienation of this generation is higher than the alienation of the previous generation." A 17th century Mughal emperor called Kashmir "paradise on earth". But violence has ebbed and flowed in the valley since the subcontinent was divided into predominantly Hindu India and Islamic Pakistan after independence from Britain in 1947. The question of Kashmir, India's only Muslim-majority state, was never resolved, and it has been the catalyst for two wars and several violent clashes between the countries. Instead, India points the finger at Pakistan. Officials say the rebellion in Kashmir is being funded and organized by Pakistan and if they cut off those resources, the insurgency will weaken and it can then focus on building Kashmir's economy. The Pakistan-based Jaish-e-Mohammad militant group claimed responsibility for the latest attack, which was the deadliest in the insurgency. "In the past five years we have seen that the government of India has only spoken to Kashmiris through the barrel of the gun, that’s it. There is no political approach," he said. "Nobody is dying in Kashmir for lack of roads, electricity and water." A few miles south of Owais Malik's home in Kulgam lives Masuma Begum, who said her son and brother had been called in to an army camp two days after the latest bombing and have been held since then. "That's my other son, Tausif," Masuma Begum said. The 24-year-old had joined the Hizbul Mujahideen in 2013 and been killed by the army the same year, she said. "I don’t want to lose another son."